One of the best compact cameras out there just got better — if you've got the cash. 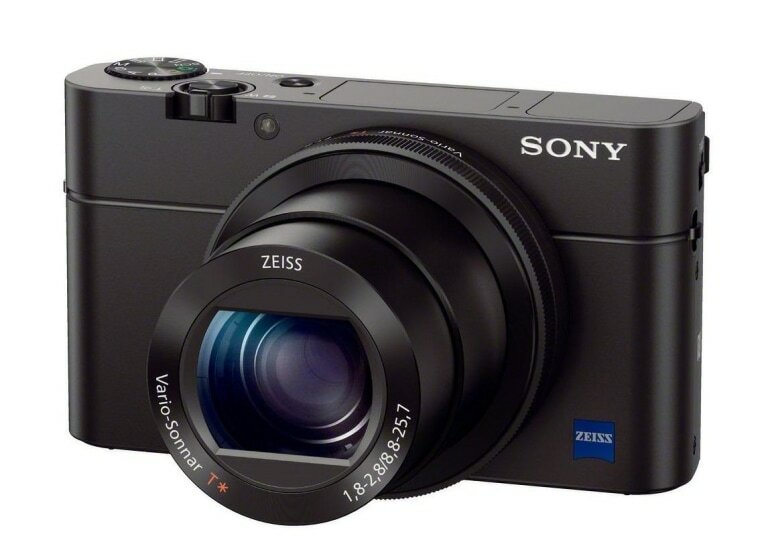 Sony has announced a new version of its RX100, a pocket-size camera with nearly DSLR level image quality. A better lens and unique pop-up viewfinder make this a fairly serious upgrade. The RX100 competes with other "luxury compact" cameras with high-quality lenses and sensors far better than point-and-shoots. It and the likes of the Canon G1 series and Olympus XZ-2 are for people who don't want to mess around with dials and interchangeable lenses, but still want good low-light performance and sharp pictures. The original RX100 was hailed as an amazing accomplishment, fitting a 1-inch sensor into a space where normally there's one only a fraction the size — plus a decent zoom lens that hit a bright F/1.8 on the wide end. Its successor improved the sensor and display. Friday's upgrade brings more welcome changes. The lens is now 24mm on the wide end, compared with 28mm in earlier versions, and now has a wider maximum aperture when zoomed in, a respectable F/2.8. The display now flips up 180 degrees, allowing you to compose 20-megapixel selfies. The most interesting addition, however, has to be the built-in electronic viewfinder that pops up with the touch of a button; it's the first of its kind, as far as we know. The 800x600 resolution won't wow anyone, but its OLED display should be bright and contrasty. And let's be honest: A pop-up EVF is just plain cool. None of these advances come cheap. Like its predecessors, the RX100 III is definitely a device for deep-pocketed enthusiasts. It'll cost $800 when it appears in stores next month — but if it's as good as the ones that came before, that could be money well spent.